A star with a fake ID? When we look at most stars, our observations are quite limited. We can measure stellar temperatures and colors quite easily, as well as star’s brightness. In the vast majority of cases, physical parameters like the star’s mass and radius are not directly measurable. To measure a star’s mass, we need the star to have a binary companion close enough that we can observe their orbital motion around each other. To measure a star’s radius, in general we not only need a binary companion, but the pair must be eclipsing. For a few stars we can measure their angular size directly, but this is limited to a handful of giant, nearby stars. There are only a small percentage of stars in eclipsing binary systems, meaning a small minority of stars have measured masses and radii. In the vast majority of cases, we must rely on stellar models to estimate physical parameters. Astronomers have developed theoretical predictions for what a star of a given mass and radius (and age, metal content, rotation rate, and more!) should look like in our astronomical detectors. These models are calibrated on the few stars with known constraints. But how good are these models? We know the models of solar-type stars are pretty good. After all, we have a really bright calibration source to compare against! Recently, there has been some evidence that the models may not be perfect: studies of M dwarfs find that their measured radii are a few percent larger than those predicted from the models. In this paper, the authors find more potential issues with the models. From the observed white dwarf spectrum in the near-infrared, the authors determine the white dwarf is primarily made of hydrogen and has an age of nearly 8 billion years. Matthews et al. study HD 114174, a system with a binary companion uncovered by some of the same authors last year. The binary companion is a stellar remnant called a white dwarf with a mass just over half the Sun’s. White dwarfs cool regularly and predictably, so from its luminosity and spectral energy distribution, the authors determine it must have an age of 7.77 ± 0.24 billion years. The primary star is probably very slightly larger than the Sun, with a mass of 1.05±0.05 solar masses. The authors of this paper try to measure its age via two methods. By comparing its position on an HR diagram with evolutionary models, the authors estimate the star has an age of 4.7 ± 2.5 billion years. That’s quite the uncertainty! Fortunately, they were able to apply another method: as a star ages, its rotation slows slightly as the star’s stellar wind carries away angular momentum. Thus, by measuring the star’s rotation period, its age can be estimated. (This process is called gyrochronology, and is the primary research interest of Astrobiter Ruth Angus.) For this star, the gyrochronological age is 4.0 ± 1.0 billion years. That doesn’t make any sense! For both stars to be in a close binary system, they almost certainly formed at the same time. The white dwarf, an end state of stellar evolution, should then be slightly younger than its companion on the main sequence, yet the opposite is true. What’s going on? The authors propose a few possibilities. First, the stellar models could be incorrect, which would be a very exciting result, potentially leading to the development of new, better models. Another possibility is that the main sequence star had its rotation rate increased by some process during its life. This is plausible! Stellar lifetimes are inversely proportional to stellar masses, so the white dwarf (having reached its evolutionary end state) was originally the more massive star of the pair. As this larger binary companion went through its asymptotic giant branch phase on its way to becoming a white dwarf, it would have had a very strong stellar wind. This wind could have “spun up” the main sequence star, making its gyrochronological age appear smaller than its true age. A similar effect has been observed in another star, HD 8049. To test this theory, the authors need more observations to improve their age estimate through evolutionary models, which is currently woefully underconstrained. With such observations, Matthews et al. will be able to determine if this star is really older than it pretends to be (maybe it’s embarrassed about its age: I don’t think there’s a Just for Stars hair dye yet! ), or if our dating methods need to be improved and our physics is lacking. I can’t find the source of the gyrochronology age. You quote 4+-1 Gyr. The star is less active that the Sun. The Sun’s logR’HK ranges from roughly -4.95 to -4.85 (yearly averages; 1974-2008). 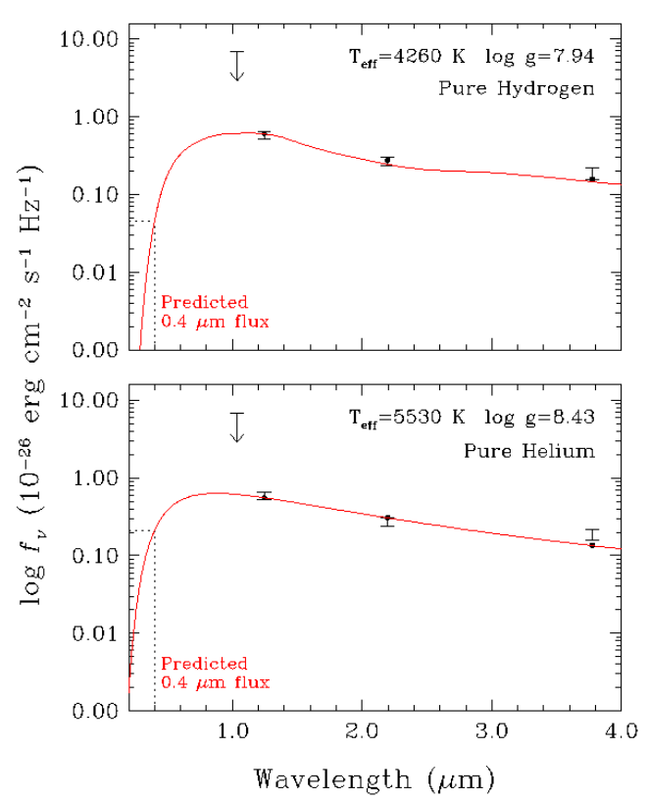 The first 3 reported logR’HK values for HD 114174 (Duncan et al. 1991; Gray et al. 2003) had logR’HK of roughly -5.02 to -5.11 (i.e. significantly less activite than the Sun). The later averages were taken during the 2000s and were only a bit more active, but still less active than the Sun (logR’HK ~ -4.98; Wright+2004, logR’HK ~ -4.95; Isaacson+2010). So far as I’ve seen – there is no reported rotation period (just a period estimated from logR’HK). Periods inferred from logR’HK are probably not very accurate for very inactive stars (logR’HK ~ -5.0; we have a plot showing Rossby number vs. logR’HK in Mamajek & Hillenbrand 2008 showing this). The other “old” aspect of the star is the space motion: U, V, W = 57, -65, -10 km/s. Given the local densities of the Galactic kinematic populations and their velocity distributions (e.g. from Bensby+2003), one would naively expect this star to be a thin disk star ~55% of the time, a thick disk star ~45% of the time, and a halo star ~0.4% of the time. The star has a slightly supersolar metallicity – ruling out thick disk and halo. Given the high velocity – this is screaming “old thin disk star” (~7-8 Gyr would not be unexpected, even independent of the activity and isochronal age). Long story short, if it’s a “fake ID” – it’s nowhere near as bad as McLovin had in Superbad. Given the error bars in the isochronal age (Holmberg et al. 2009 got 6.1-11.3 Gyr? Takeda et al. 2007 got 7.9 Gyr and 2.6-4.8 Gyr using different methods, etc. ), it seems difficult to make the case that the age of the HD 114174 primary is so well-constrained that the “discrepency” is convincing. I do agree with your points regarding the possibility of it being an old thick disk star, from the space velocity. The authors use Crepp et al.’s (TRENDS III) estimate of the isochronal age, which comes from Yonsei-Yale models, to estimate an age of 4.7 +2.3/-2.6 Gyr. I was unaware of the Holmberg and Takeda results, which are interesting in that they seem to match the white dwarf age well. The authors also don’t site a source for their gyrochronological age, so presumably they calculated it themselves, but they don’t explain how they did this. The number they find is 4.0 +0.96/−1.09 Gyr, which is what drives the discrepancy. I too would like to know exactly where this number comes from; perhaps an astute referee will have the same question. It’s hard to imagine a fake ID as bad as that one! I guess this star may just be using some “touch of helium” to look distinguished.